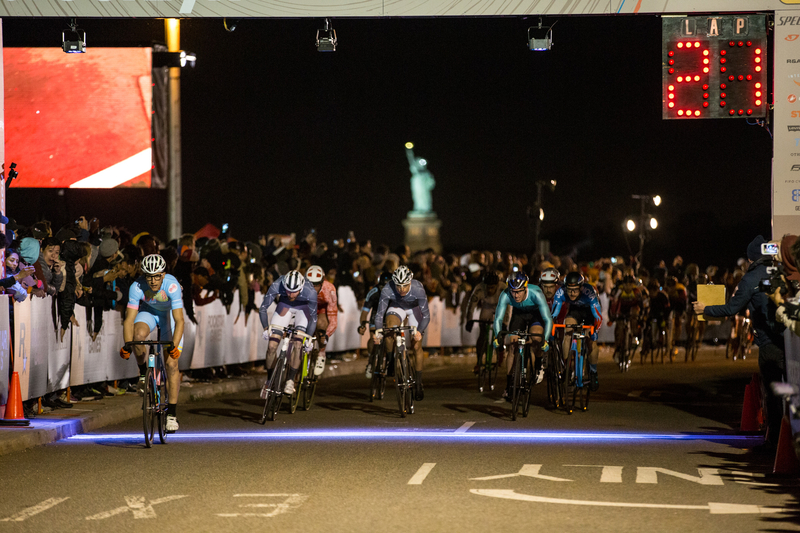 At 9:30 p.m. on Saturday night, 85 cyclists lined up at the start of a 26-lap, 30km high-speed fixed-gear bike race in Red Hook, Brooklyn. Moments later, nearly half of those riders were on the ground, tangled and mangled under a mess of bike frames, broken wheels, and errant chains after a race motorcycle stalled on course. The race was halted as seven of the racers were rushed away by ambulance. After giving racers 90 minutes to fix their bikes and bandage their wounds — and wait for empty ambulances to arrive — the remaining riders lined back up, ready for a re-do. And again, just seconds after crossing the start line, there was another pileup, this time taking down 10 riders. When it finally got off to its third start of the evening, the field of 85 had already been narrowed to 70. But for those cyclists, choosing whether or not to line back up each time amidst the wreckage was never a question. 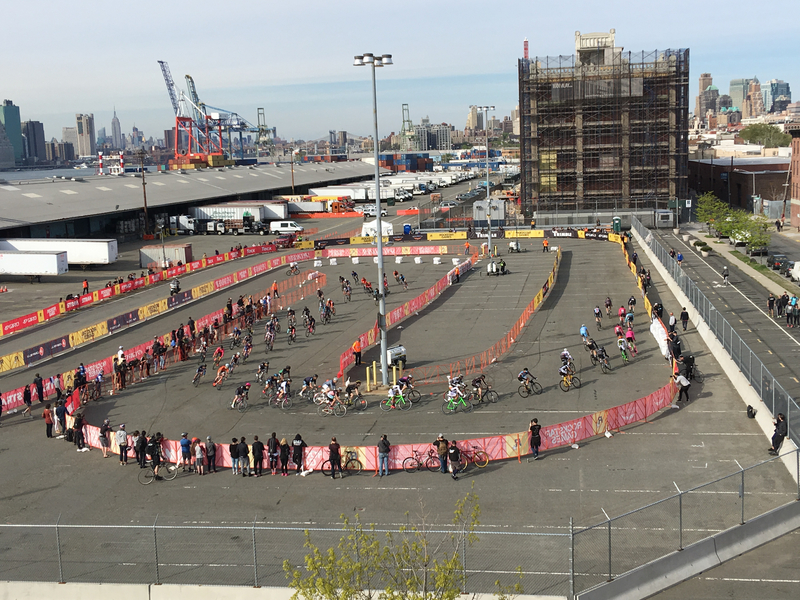 The seemingly insane and masochistic nature of the Red Hook Crit is what drew the racers there in the first place. In spite of the actual blood, sweat, and tears — not to mention the shattered bones and bike frames — there’s no doubt this year’s racers, whether or not they made it to the finish line, will seek to return to next year’s race. But why? “The draw for this race has gotten huge,” says 24-year-old bike messenger and street racer Cooper Ray. “It’s created a whole cycling discipline: the track bike criterium.” While track bike racing around closed velodromes was one of the earliest forms of bike racing, and fast-paced road criteriums are the most popular form of road racing in America, the two events were never merged and popularized until the first Red Hook Crit in 2008. Ray raced at the first Red Hook Crit when he was 14, placing fourth. But at its inception, the open-street race was just a 25th birthday celebration for race director David Trimble. Today, the event takes place at the Brooklyn Cruise Terminal on a closed course, and is backed by sponsors like Strava and Specialized. The daylong competition consists of nine qualifying heats, open men’s and women’s 5K running races, and women’s and men’s criterium finals in the evening. Registration for the men’s criterium sells out almost immediately each year, drawing a strong contingent of international competitors representing nearly 50 countries. In the qualifying rounds, 250 male cyclists competed for 95 coveted spots in the main event. As the heats get more competitive each year, so do the spots on the sidelines. With a bevy of trendy food trucks offering Belgian waffles, grilled cheese sandwiches, and kimchi tacos, and Other Half Brewing serving up its Red Hook Crit Pale Ale, the event is part race, part block party — just the way it originated.